The Void Engineers are hiding something. They’ve traded many of their ideals for guns, turned vessels of peaceful exploration into mobile defense platforms, and — most frightening to the Union — forged themselves into an organized military. They’ve kept the rest of the Technocracy grounded as they fight a mysterious war beyond the boundaries of Earth against adversaries too heinous to name. As much as that’s tearing the Technocratic Union apart, that’s the only way it can be: only the Void Engineers can defend Consensual Reality from horrors beyond. For only they can stand before what lurks out there, hungry to return to Earth. The world beyond Earth has changed much in fifteen years, and not just from the Dimensional Anomaly. The Engineers have been forced to adapt to a Void growing ever darker. 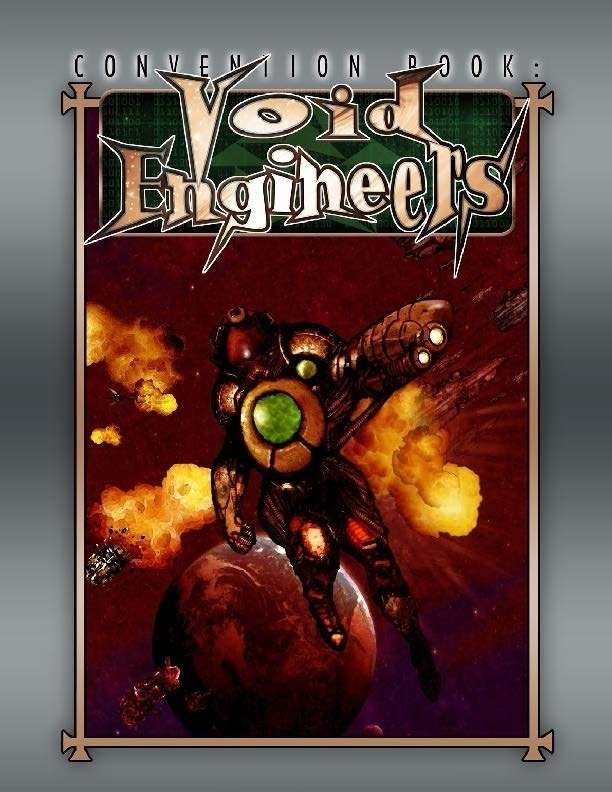 Convention Book: Void Engineers updates Mage: The Ascension with fresh 21st century ideas of the starfaring Convention — once filled with hopeful explorers and rebellious dreamers, now scarred by their secret war. So is this an M20 product? I am unclear. This is a MtA "Revised" product. It is however one of the latest, so the layout is relativly similar to M20 and most of it is fully usable with the updated rules. As most Tradition/Convention books, the fluff is the main part.